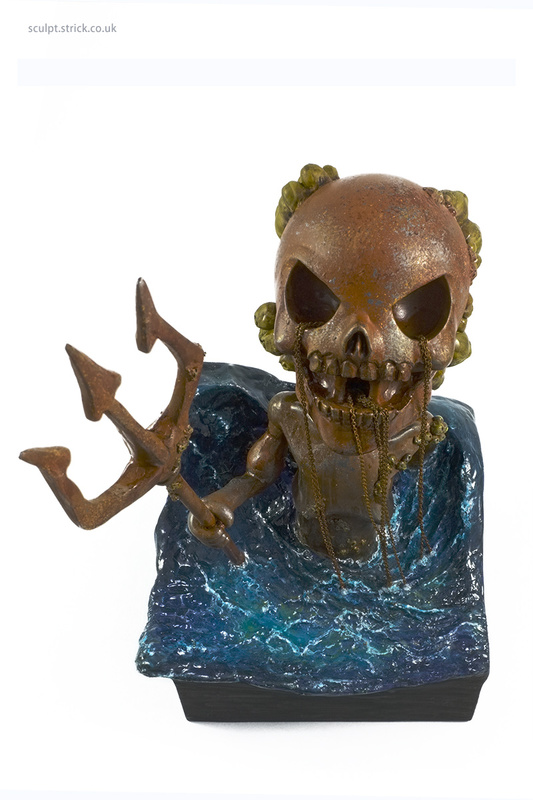 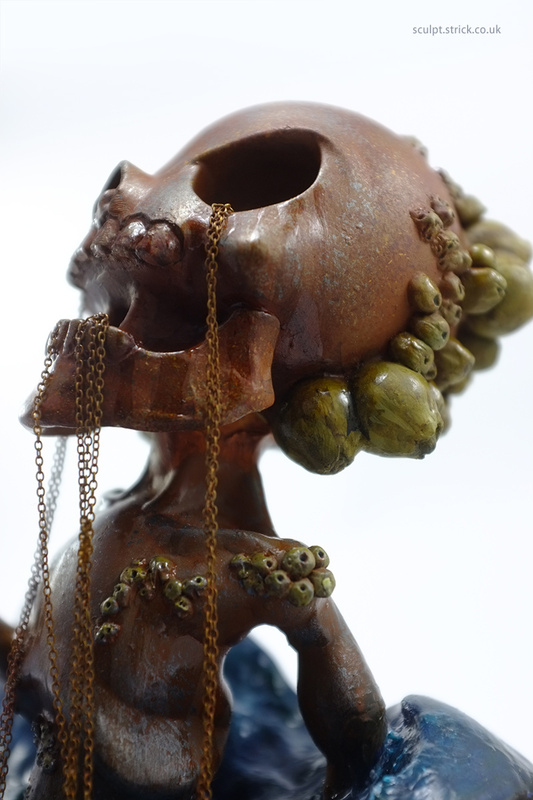 A custom Skullhead Blank for Clutter Gallery's Blank Show. 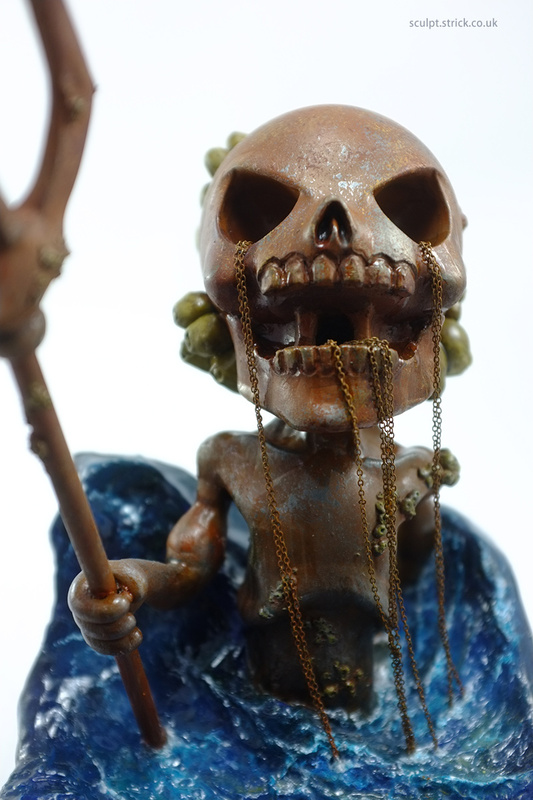 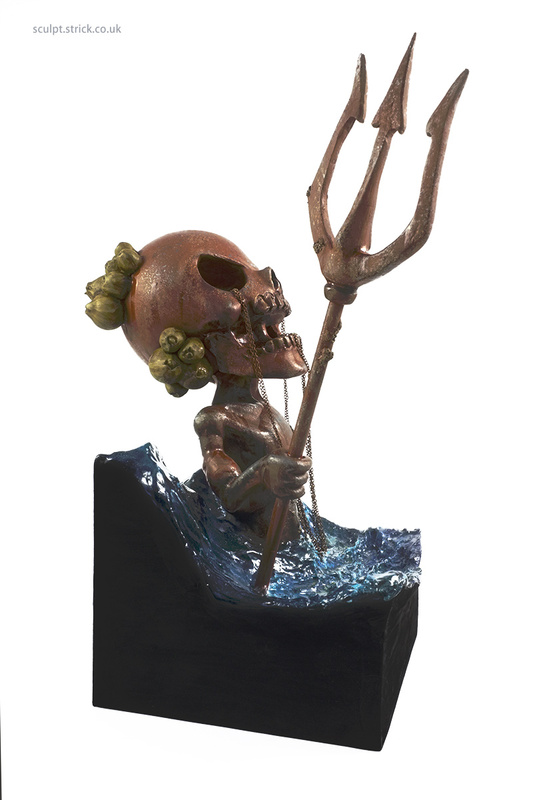 The inspiration for Neptune's Ghost came from a desire to make Skullhead's crossbone protuberances into something new. 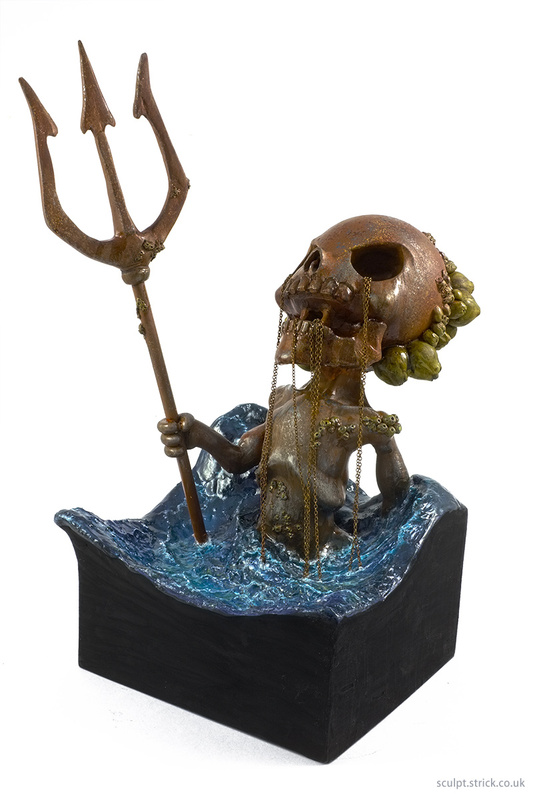 I decided to add more bumps and make them into barnacles, turning the whole piece into a long-submerged metal statue rising from the ocean. 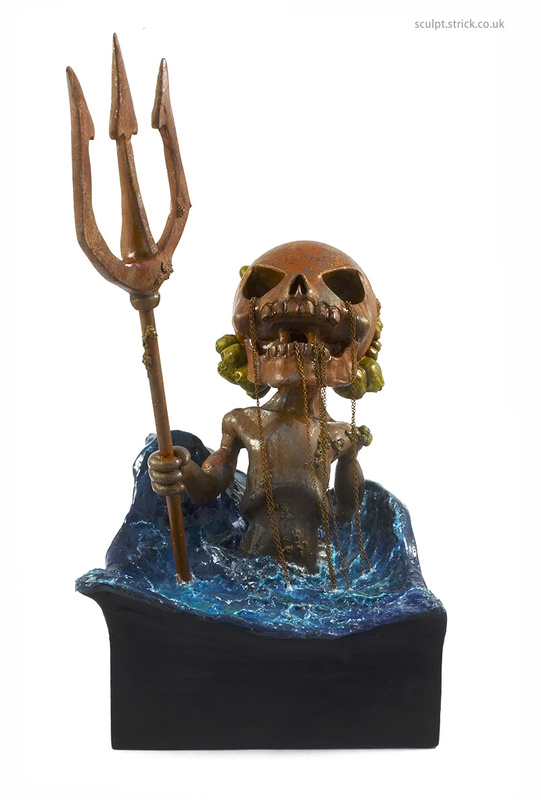 Having recently completed another watery piece, I was in the mood for sculpting ripples and waves and had a lot of fun making and painting the base.